The 2018 Toyota Sequoia’s all-aluminum 5.7L V8 engine defines it as a modern-day SUV. While producing all the power a full-size SUV needs, it earned an Ultra-Low Emission Vehicle II rating. When kicking out 381 horsepower and 401 lb.-ft. of torque, it’s capable of towing a maximum of 7,400 pounds. Along with its Tow/Haul Mode option and available Rear Pneumatic Cylinder Height-Controlled Suspension, the new Toyota Sequoia allows you to pull whatever you want, wherever you want. If you’re looking for a little excitement, the 2018 Toyota Sequoia can find it. Even if that means going off road. Challenge any surface with its fully-boxed frame, independent rear suspension, 4WD and Torsen® limited-slip center differential. For the SUV that works hard and plays harder, visit Toyota of Tampa Bay and see the new Toyota Sequoia today. Safety shouldn’t be luxury. That’s why Toyota made its Star Safety System™ standard in the 2018 Toyota Sequoia. The innovative security suite offers Vehicle Stability Control, Traction Control, an Anti-lock Brake System, Electronic Brake-Force Distribution, Brake Assist and Smart Stop Technology®. Preventative technology also comes standard, such as Blind Spot Monitor and Rear Cross-Traffic Alert. Toyota also offers its No-Cost Maintenance Plan for the first 2 years or 25,000 miles, as well has 24-hour Road Side Assistance for 2 years and unlimited miles. For a truly safe ride, drive the 2018 Toyota Sequoia at Toyota of Tampa Bay near Brandon, FL today. There’s no shortage of the latest gadgets in the new Toyota Sequoia. With its available Entune® App Suite, you’ll have access to everything from Pandora® to Yelp® on its 4.2-in TFT Multi-Information Display. You’ll also be able to use its integrated navigation system to make sure you get where you’re going. The 2018 Toyota Sequoia also provides plenty of entertainment for everyone. The available JBL Synthesis® sound system includes JBL® custom-engineered speakers and amplifier, as well as Bluetooth capability so can manage your music hands free. Keep your backseat passengers entertained too by opting for the Blu-ray Disc™ Player and 9-in display. No matter what you do or where you go, space doesn’t have to be a problem. Bring up to 7 passengers in the 2018 Toyota Sequoia and you’ll all be comfortable, with 3-zone climate control and available second row captain’s chairs. If you don’t have a bunch of passengers, you can bring a bunch of stuff instead, with up to 120.1 cu. ft. of cargo space. You’ll still get 66.6 cu. ft. of storage with the second row of seats upright and leaving all of the seats upright still allows for 18.9 cu. ft. of space. 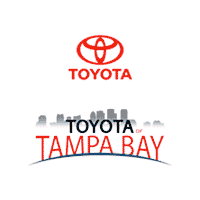 If you’re looking for an SUV in the Tampa, Brandon or Wesley Chapel, FL area, come to Toyota of Tampa Bay today and test-drive the 2018 Toyota Sequoia. We appreciate your interest in our inventory, and apologize we do not have model details displaying on the website at this time. Please fill the form out below and our team will quickly respond, or, please call us at 813-402-1323 for more information.